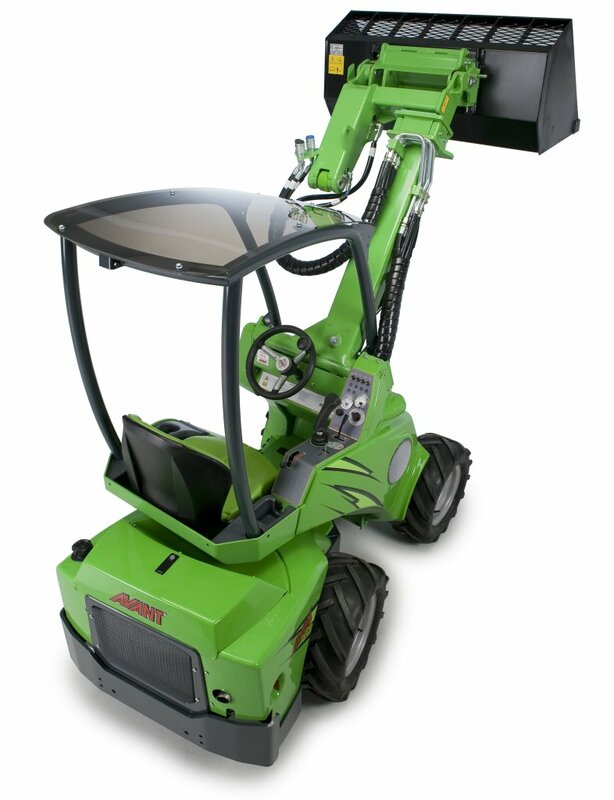 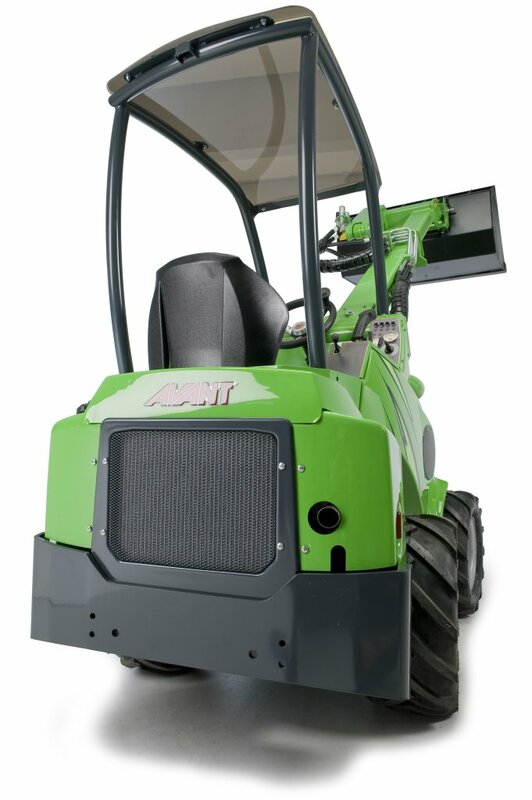 Safety being one of the strongest characteristics of any Avant Loader machine, the Avant 400 Series Loader takes visibility one step further by providing the driver with an unobstructed 360° field of vision. 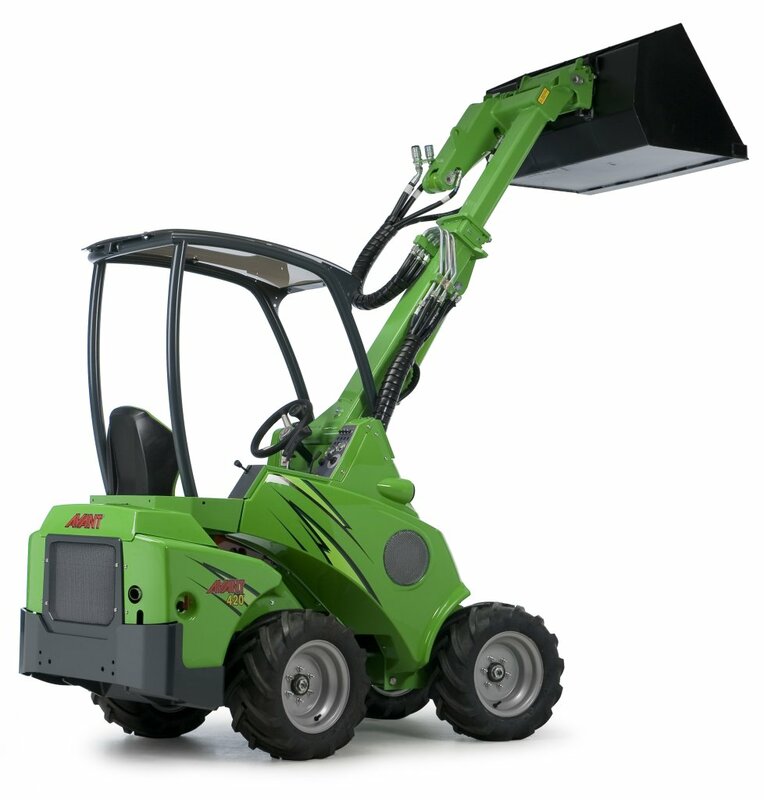 This ensures both the safety of the not only the driver, but of anyone working within close proximity of the Avant 400 Series Loader. 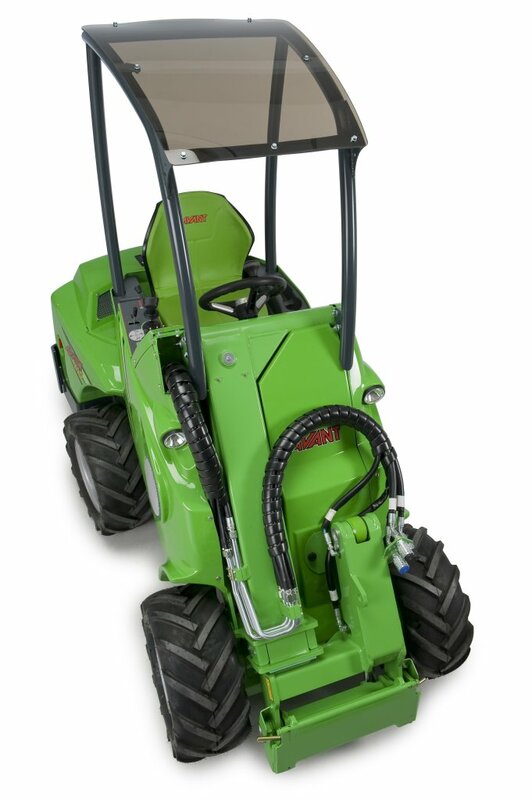 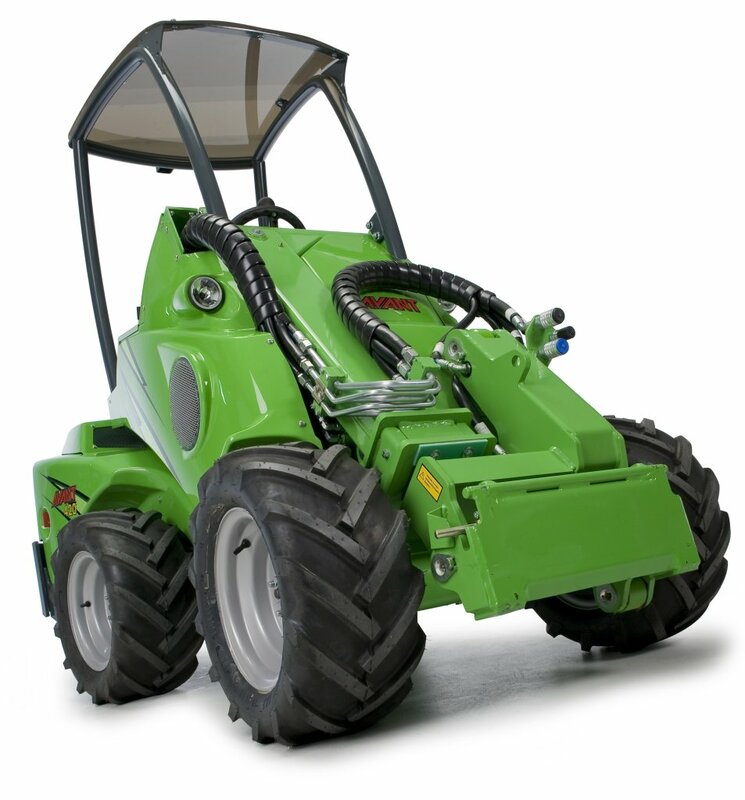 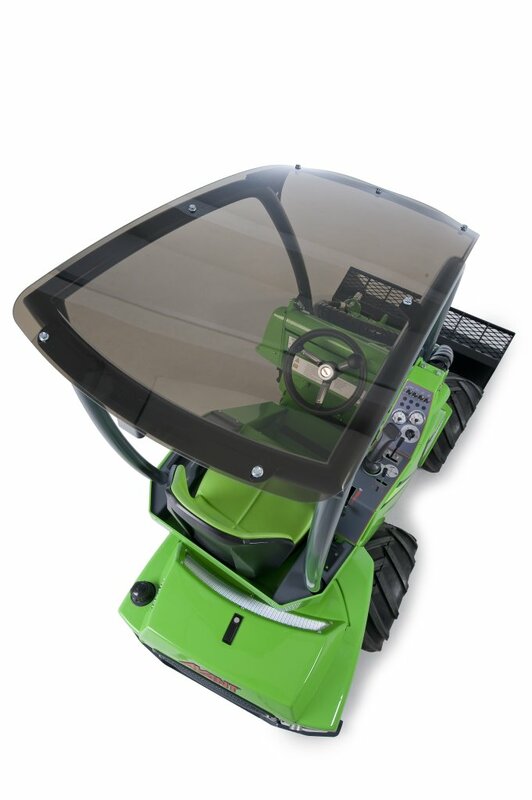 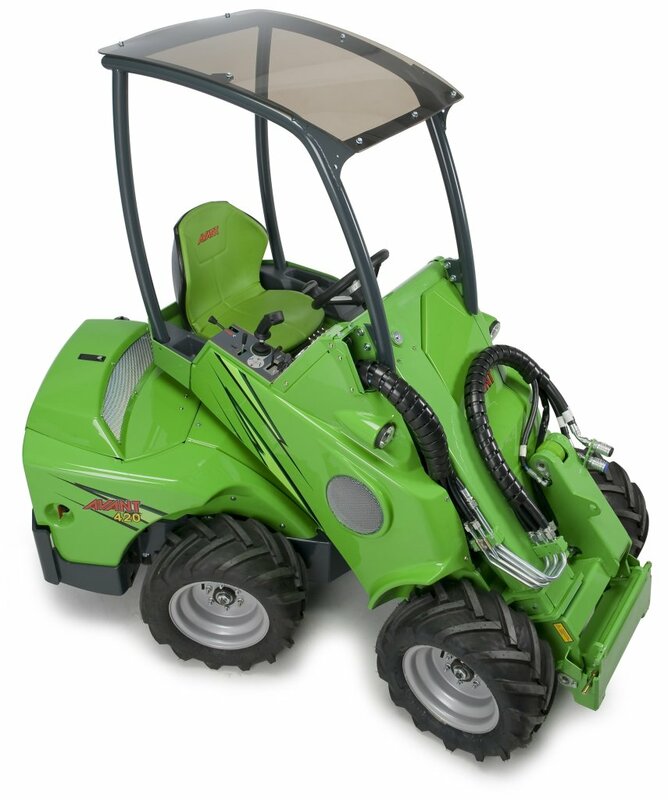 The 400 Series Loader also comes, as standard with an ROPS safety frame and FOPS canopy aswell as a seat belt to ensure maximum safety for the user. 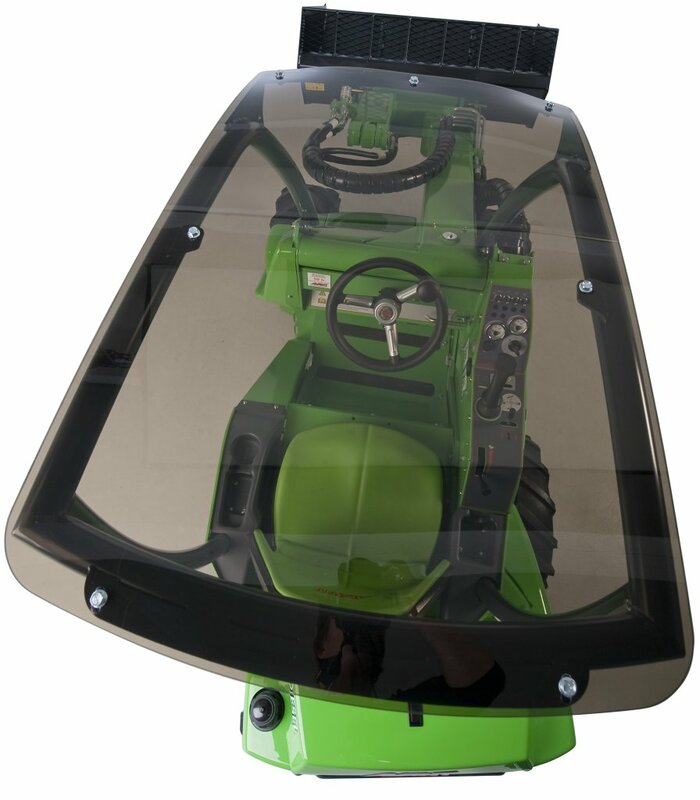 The Avant 400 Series Loader cockpit is home to a simple and logical layout of ergonomic controls to ensure complete control and comfort for the driver. 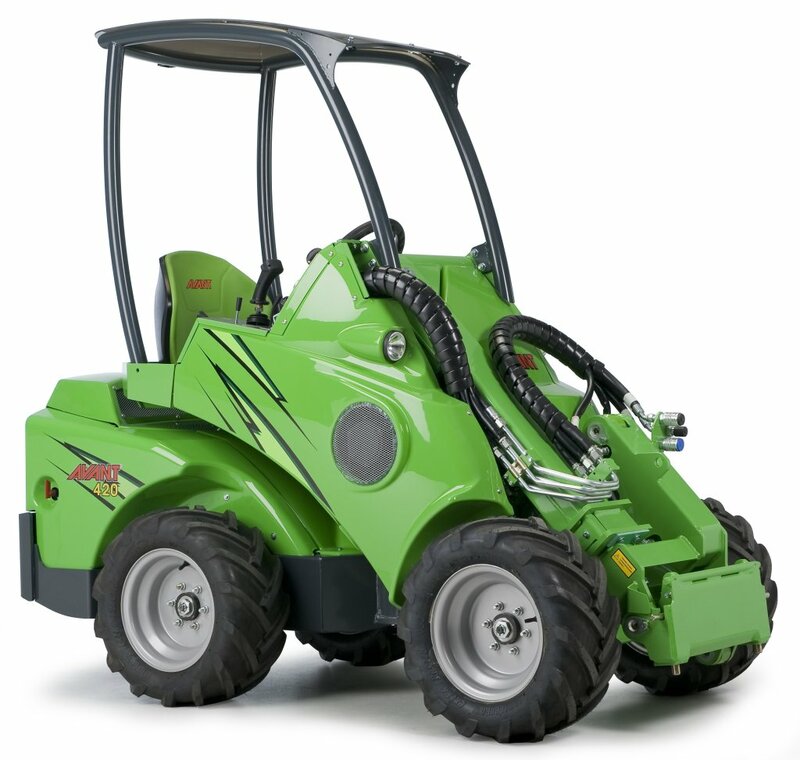 The Hydrostatic transmission of this machine also guarantees a smooth and precise driving experience which can be maintained at both high and low speeds. 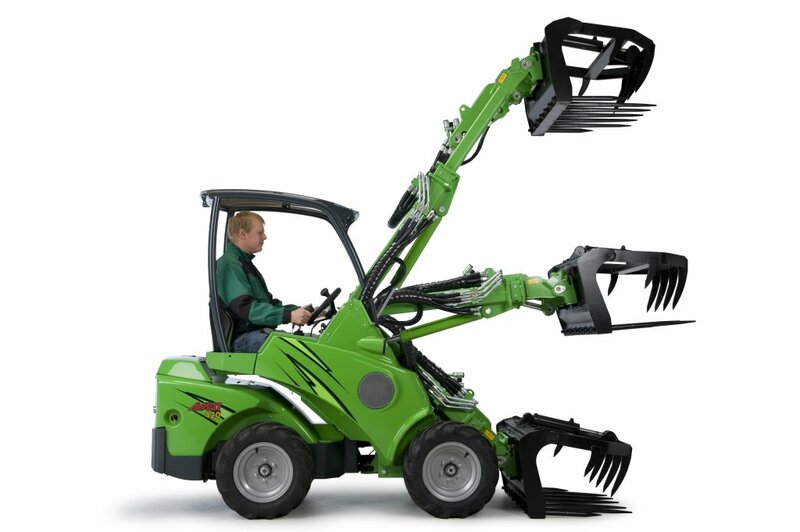 The Avant 400 series loader also boasts Hydraulic power steering and a turning radius of 1,97 m only which ensures that the machine is still efficient in tight situations. 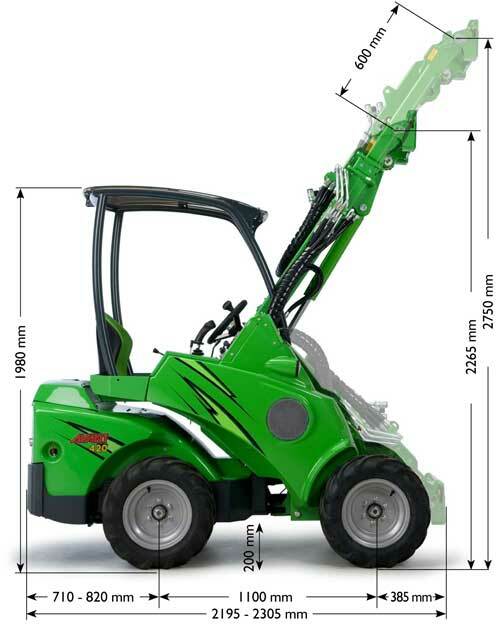 The Articulated Joint System also offers stability and a much higher tipping load! 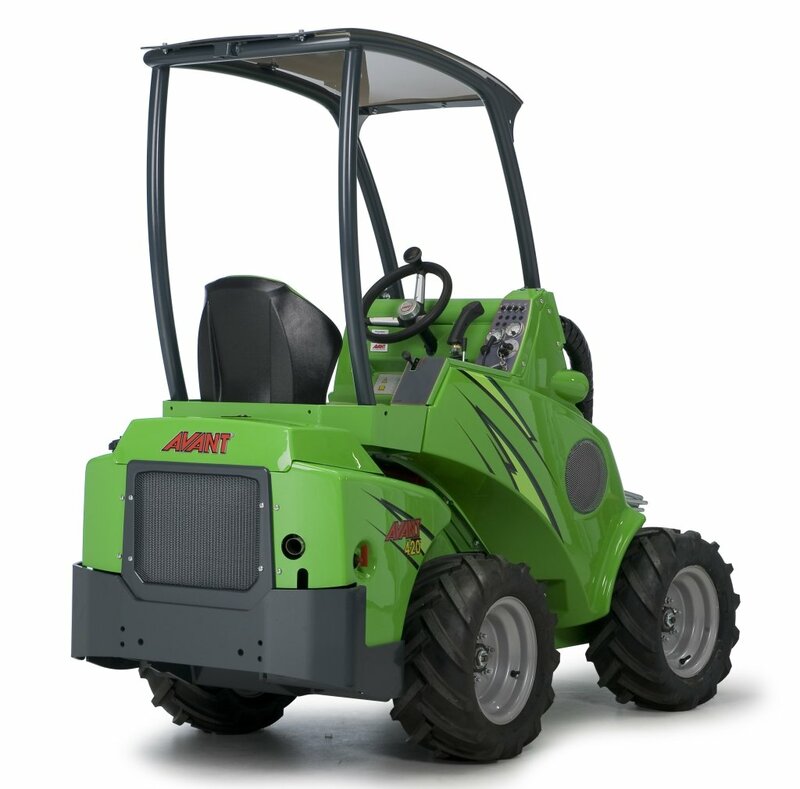 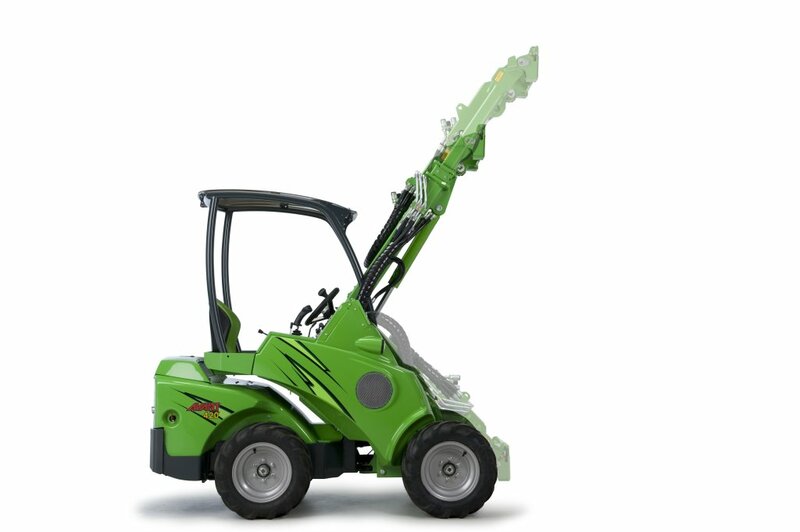 As a further safety precaution the Avant 400 series Loader is fitted as standard with a load sensor which emits an audiable warning signal if the rear wheels are about to lift off the ground.